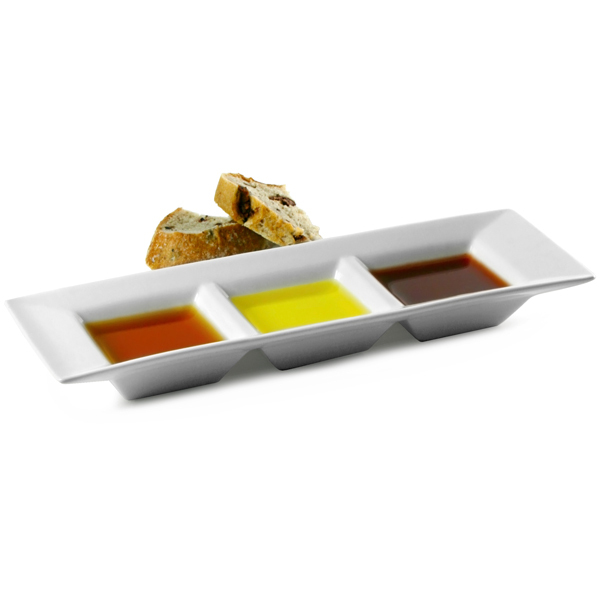 With divided space for serving up to 3 different condiments, dips or appetisers, the Royal Genware Fine China Triple Dish is ideal for providing the perfect first impression. Each high quality fine china dish has a classic pure white finish, offering a contemporary blank canvas for optimising your food presentation. 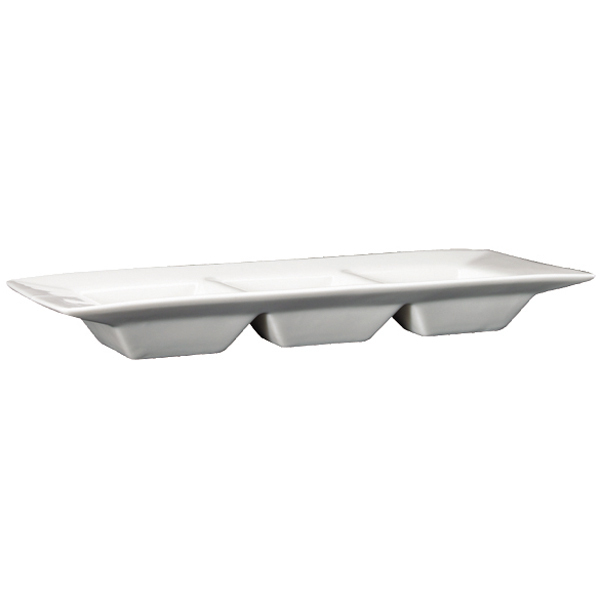 Suitable for domestic and commercial use, this vitrified hotelware has increased durability in use.